Prague like other urban centres comes alive as people prepare to say goodbye to the old, and welcome in the New Year. Locals and tourists alike are out seeking the perfect places to spend the last days of the year with friends and families, for their late night celebrations across the city. Prague though, renowned for its beauty as much as for its nightlife, is a real New Year’s hotspot. Tens of thousands of people from across Europe and the rest of the world flock to the Golden City. As a result, restaurants, bars, and clubs in Prague fill up fast. For this reason, nearly all venues require reservations for a place to spend the evening. If you’re planning to spend your last night of 2019 in the capital of the Czech Republic, it’s always good to plan ahead and make sure you have an idea of where to go, what to do, and how to get there – especially during the sub-zero temperatures that are usually around this time of year. Leaving it to the last minute is not recommended! Here’s a few tips for things to do this year in Prague to help you make the most out of one of the most celebrated nights around the world. The Prague Pub Crawl is one of the city’s most reputable party institutions among tourists looking for a wild night out on the town. Their popularity has helped them to launch the once-in-a-lifetime experience legendary New Years’ Crawl, with hundreds of party-goers joining the circuit every year. For a 2500 CZK, the crawl offers unlimited drinks for an hour in the first bar, which usually helps the revelers warm-up, as well as welcome shots at every other venue venue to keep the crawl moving nicely. The night concludes with guaranteed queue-jumping VIP entry at Karlovy Lazne, the city’s famous 5-story club – notorious for its long queues, especially at this time of year. There’s also free bottle of champagne on arrival to welcome in 2019. The club sits at the heart of the city, overlooking the stunning Charles Bridge. Be sure to stay warm though. Whilst you’ll spend most of the evening inside one of the many bars, clubs, or pubs on the route, you might want more than your beer-jacket on to get from place to place at this time of year. Coats and scarves recommended! The people of Prague light plenty of fireworks across town come midnight, Dec 31. However the official firework of the city steals the show and – crucially – it happens only the day after, on January 1, at 18:00 at Letna Park. Thankfully that’s one of the highest spots on the city meaning you can see them from many good vantage points. Naturally the hot spots for the fireworks are the famous Charles Bridge, Old Town Square, and on the banks of the river facing Letna Park. There are also many spots further along the Vltava river from which you can enjoy the spectacle, especially the other bridges to the South of Charles Bridge. For those feeling a little more adventurous, Vysehrad fortress offers brilliant panoramic views of the Old Town, and while further away from the main spots, is certain to give you an unobstructed view of the city being lit up in the traditional New Year’s fashion. After these you can be sure for the remainder of the evening, especially at midnight, the rest of the city will light up in a very dramatic fashion with unofficial, but nonetheless spectacular, firework displays. Many of Prague’s most prized historical treasures rest along the riverbank, such as Charles Bridge, the Rudolfinum, the National Theatre, and Vysehrad fortress. Not to mention that from a boat on the river, you can find some of the most spectacular views of Prague Castle and St. Vitus Cathedral looming proudly over the city. Here’s a few of the river-party options available on the 31st December. The New Year’s Eve Jazz Cruise has been running for 15 years, and is always a guaranteed sell-out, so it’s a must reserve if this sounds like the ship for you. The cruise runs from 8pm to 1am, and includes dinner on board. There are two boats - one offering a hot and cold buffet, and another with a waiter-served set menu. With your ticket price you’ll have a table reservation, and get to enjoy the excellent live jazz music on show from the boat’s house band. When things start to heat up a little, there’s even a little dance floor for when the band branch off from the jazz set, and strike up some popular classics so you can get your festive groove on. Similar to the Jazz Boat, but for those whose music taste is a little faster and livelier, the New Year’s Eve Party Boat is another sold-out-every-year option, that’s been running successfully for 10 years. Their is a hot and cold food buffet on board, and when the dining ends, the DJ starts to ramp up disco classics from the past 40 decades - with a little something for everyone looking to spend their last night of 2019 dancing! If you’re looking to soak up a little bit of real Czech atmosphere, then why not try the Traditional Czech Evening. Included in the ticket price is transportation from to the country estate of the old manor house where the party is hosted. You’ll get to dine on a traditional four-course Czech dinner, serenaded by Czech Folk music, song and dance, and make the most of the unlimited wine, beer, and soft drinks that are available to all guests. 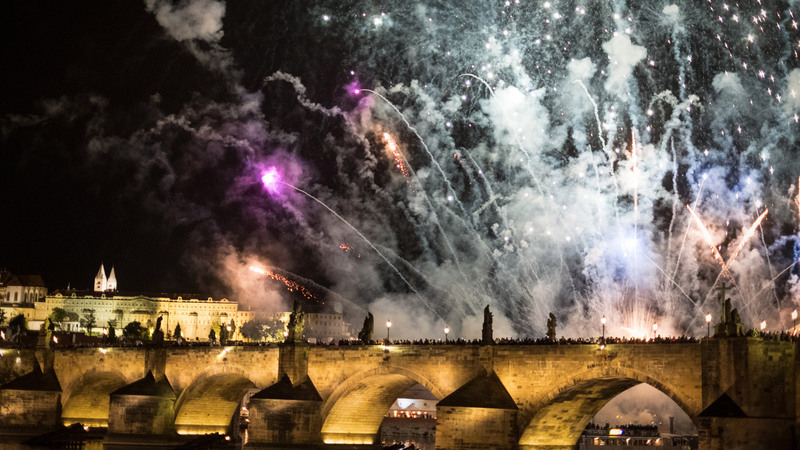 The evening runs from 7.30 pm to 1 am, so you’ll get to welcome in the New Year with a real Czech experience, with a private firework show on the side. Itchy feet? There’s always ample opportunity for you to get up and learn some of the traditional Czech steps - another great souvenir for you to take away from your stay in Prague! Prague is generally a safe city for those who stay street smart. Walking around shouldn't be too much of a problem. Of course as with every new years eve, there will be people letting off fireworks sometimes not in the most sensible places, so always keep your eyes peeled and ears open. Violent crime is very rare but watch out for pickpockets in crowded places and trams! Prague doesn’t differ from other cities when it comes to getting a taxi on the busiest party night of the year. You might be able to strike lucky getting an Uber, but with extortionate surge pricing likely on that time of year. Local taxi drivers are also liable to be charging you New Year’s rates, and possibly more if they spot an easy tourist target, so street taxis should be avoided. Other Uber-esque local taxi services such as Taxify and Liftago exist, which might provide a better opportunity at getting you from A to B, and back again at the early hours of the morning. Otherwise, Prague is a relatively small city! Walking around is always pleasant, soaking up the party mood of the city on this special evening, surrounded by its beautiful architecture. The night trams will also be running, and if after midnight you think it’s time to wind the party down, then the Metro service is free between the hours of 12am and 1am on this night only. Prague is a wonderful place to visit at all times of year, and is especially exciting when happy locals and tourists come together to welcome in the New Year. Remember though, if you are planning to spend New Year’s Eve in Prague - don’t forget to reserve ahead! As many will have experienced, there’s nothing more frustrating than wandering around trying to find a hub to host your festivities on this busy night. 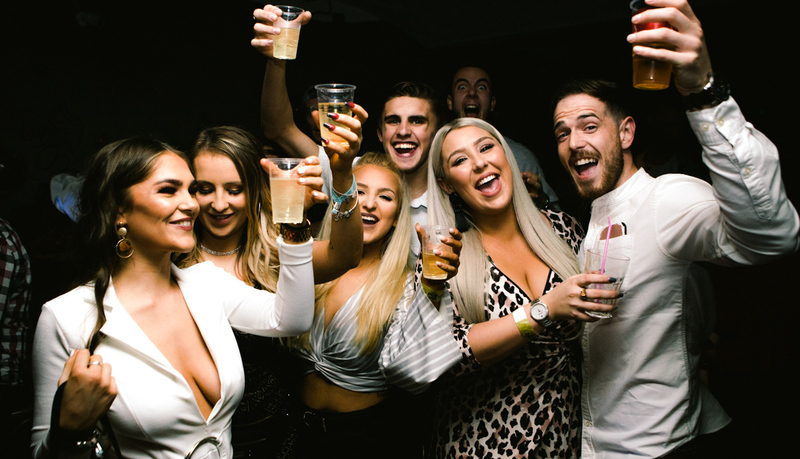 It’s potentially the biggest and best party in the city - so get prepared and make it a night to remember!